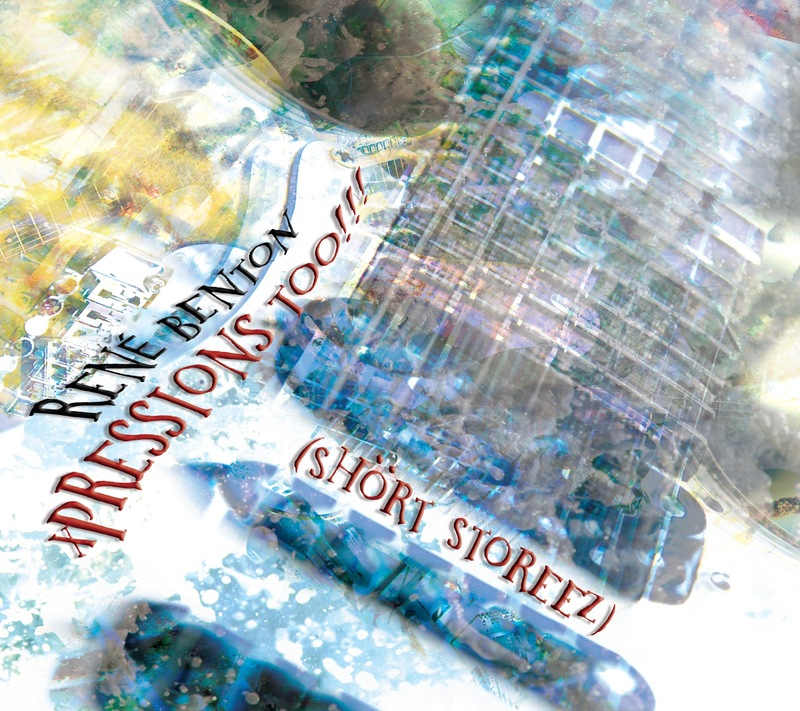 Rene Benton album Xpressions Too!!! [Shört Storeez] is a mixture of rock, metal and acid-rock-jazz instrumental compositions. Due to the fact that Rene Benton has served in the US military there are a few tracks that resemble his experiences starting with the first track Push Pull, which is a fairly aggressive piece of music. Then you have the following tracks East Meets West that has some Arabic musicial phrasing going on. The intro to Drone 3.3 has some electronic signals effects on the guitar to kind of simulate the starting of this electronic remote control aircraft, while the chugging of the rhythm guitar is part of the mission and the lead guitar is the drone flting effortlessly high-up through the sky. Green Light Go! has a great adrenaline rush feel, well how would you feel if you had to jump out of an aeroplane? Exactly. Well these are the tracks that has been drawn on his global travels with his fellow US Marines. You the get tracks that have a different feel like Nation Of Struggle, which changes tempo, notes and style within the composition. Getting into the space race of completely changing Mankind through computer technology is expressed in Clone Theory. The next crop of tracks Part Of Me, This Is Life, Thingsz Happen and V.U.S are more free flowing compositions that burst with perfect fluency and you hear how refined Rene Benton is whether playing raw or neoclassical lead guitar and how he crafts his instrument around what he wants to convey through his music. Are you going to live or die is the theme of Lyfe Support, with added effects of the heart machine beeping and ambulance coming to the rescue. Open Air is the last track and finishes the album on a high note.